A fifth-generation Houstonian, William Finnorn understands and appreciates the numerous intangible benefits of the Bayou City with its diverse culture, world-class arts scene and abundant opportunity. William obtained his real estate license while in college and joined a local brokerage in January of 2015 for their luxury and international affiliations. After a successful first year in the business, William went on to work as an assistant to one of the city's top producing agents. During that time, William gained invaluable knowledge and insight of the industry and assisted with the successful closing of more than 120 transactions. William's professional excellence has been recognized by Five Star Professional in 2016 and 2017 as a "Rising Star Real Estate Agent" and featured in Texas Monthly. While the professional recognition is appreciated, effectively fulfilling his clients' needs is most rewarding for William. His tenacious spirit and calm demeanor, unwavering persistence and innate ability to problem solve aid in efficiently and professionally achieving his clients' goals while keeping them informed throughout the process. Sellers of luxury and unique properties appreciate William's keen eye and creative talent for marketing and advertising. An avid volunteer, William finds the impact of his community involvement gratifying. 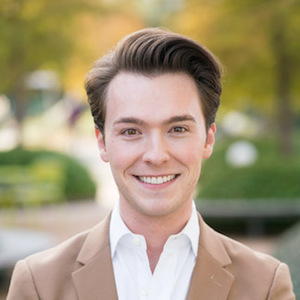 William passionately serves on the Board of Directors of the Houston Area Parkinson's Society in advocacy for his father, and has served on the Board of the Houston Grand Opera's Young Professionals Group. In addition, he has been a member of Alley Theatre, Houston Ballet and Hermann Park Conservancy's young professionals groups. In 2017, William co-chaired the Barbara Bush Literacy Foundation's Young Professionals Group's most successful Jungle Book Gala to date and has held positions on the gala committee since its inception in 2015. In his spare time, William enjoys exercising and has participated in fundraising runs for Blue Cure Foundation, Houston Rodeo and Susan G. Komen. Sophisticated French Country-style architecture in Royden Oaks. Welcoming loggia with fireplace and outdoor kitchen. Interior courtyard features sparkling spa, water feature, pergola and mature Oak tree. Formal living and dining rooms, wood paneled study and wine room. Large informal living area off kitchen with oversized island, dual ovens and dishwashers, gas range, farmhouse sink and walk-in pantry. All bedrooms, utility room, informal study, wet bar and game room upstairs. Elevator capable.